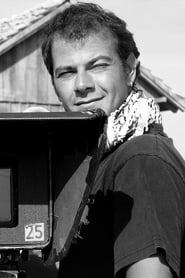 Mihai Malaimare Jr., a native of Romania , began his film career after attending the prestigious National University of Theatre and Film in Bucharest . He shot a handful of award-winning shorts and feature films in Romania before auditioning with Francis Ford Coppola to shoot his film Youth without Youth. Malaimare won the coveted role of Cinematographer for that film (at the age of 29) and went on to receive a Best Cinematography Nomination at the Independent Spirit Awards for his work. That film put him on the map in the United States and shortly thereafter he was named to Variety's prestigious "10 Cinematographers to Watch" in 2007. Since then, Malaimare has shot two more films for Coppola, including "Tetro" starring Vincent Gallo and "Twixt", starring Val Kilmer, Bruce Dern, Ben Chaplin and Elle Fanning.